I’m a 3-6 Montessori certified Early Childhood specialist and, yet, I continue to be drawn to the work of Resources for Infant Educarers (RIE) and the methods in infant care first introduced by its founder, Magda Gerber. I’d like to say the interest results from our school beginning at infancy and continuing through the first developmental plane ending with Kindergarten graduation. Knowing about infant care in addition to my Montessori 3-6 education allows me to more fully support the mission of our entire school program. Which is true- but it’s not the whole story. What I’ve found is that in integrating the key components of RIE at the 3-6 level, I am better able to implement the principles of the Montessori educational approach. And I’m not alone in this discovery. As interest in RIE grows within our own school community and as more certified Montessori faculty members at the 0-3 and 3-6 level choose to undertake RIE training in Theory and Observation, we find ourselves agreeing- KNOWING RIE MAKES FOR A BETTER MONTESSORI GUIDE. Upon re-reading Magda Gerber’s Your Self-Confident Baby: How to Encourage Your Child’s Natural Abilities- From the Very Start I am reminded of the approach’s basic principles and its congruency with my Montessori learning. If a foolish mother frog said to her little tadpoles in the pool, ‘Come out of the water, breath the fresh air, enjoy yourselves in the young grass, and you will all grow into healthy little frogs. Come along now, mother knows best!’ and the little tadpoles tried to obey, it would certainly mean the end of the tadpoles. Angeline Lillard’s research in Montessori: The Science Behind the Genius supports that people learn better when they are interested in what they are learning. Furthermore, rewarding children based on their activity can negatively impact motivation. How important is BASIC TRUST? Magda advises that basic trust is essential in the infant developing good judgement, trust and security. Many programs acknowledge the importance of physical safety when preparing child environments. Few, however, can speak clearly on the implementation of cognitive and emotional safety to the extent of the RIE Approach. 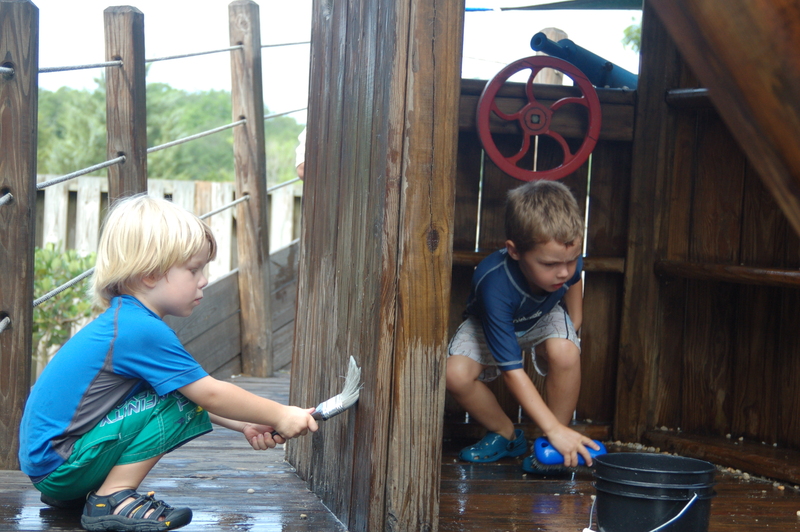 Although Montessorians pay particular attention to order in the environment and its relationship to the child’s learning, (in her teachings, Dr. Montessori points out that for the child to be free to initiate, the environment’s physical order and that provided by the warm- yet authoritative adult’s consistency regarding discipline must remain intact) the individual nature of cognitive and emotional needs of each child in our care challenge the adult in the role of environment prep. I find RIE’s approach in assessing, evaluating and implementing tools in providing not only a safe physical environment, but one that is emotionally and cognitively challenging critical in first establishing an intimate relationship with each of the children under my care and then in providing interesting objects to speak to his/her temperament, interest and development. When telling the frog story, Montessori addressed the question, “shall we leave our children to do as they like? 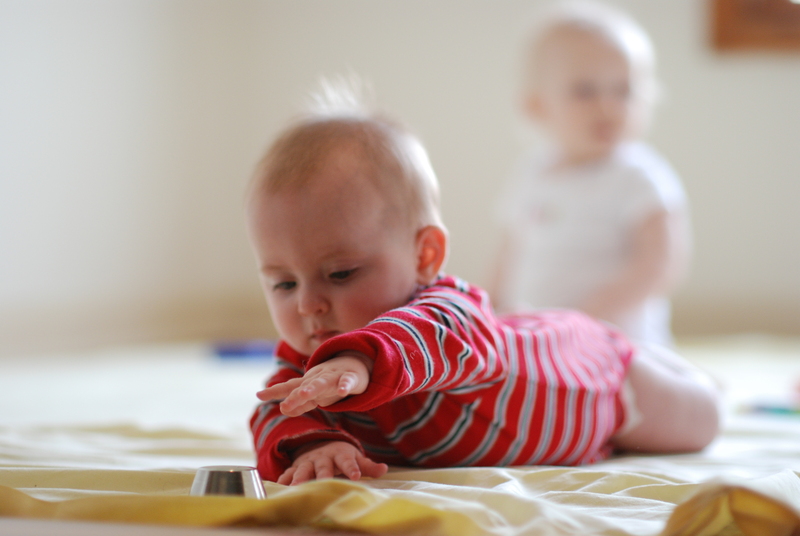 How can they know what is best for them when they have had no experience?” with “Have you ever given your children a chance even for one day of doing what they like without interference?” In doing so, Montessori believed that the child would fall into concentration, develop perseverance, and teach himself the valuable lessons of life to his satisfaction. Adult interference would result in dissatisfaction, disappointment and possible deliberate mischief. Magda Gerber agreed that adults do not teach play, but rather allow for it to unfold. During this “wants nothing time” the adult observes, smiles upon eye contact, or when graciously invited- participates in the child’s exploration and discovery. Both RIE and Montessori believe that children learn not only from adults and the environment, but also from other children. Socialization is multi-dimensional and works best when it involves relationships with individuals from infants through elders on a regular basis and throughout the child’s very first interactions with others. Both, also, point out that this freedom comes under the guidance and expectation of certain “rules” respecting the needs and rights of others. My understanding of RIE has enabled me professionally to raise my expectations at an earlier level regarding the infant’s ability to learn from each other. This deepened understanding, respect and opportunity for both child and adult enables the children at Little Learner’s Lodge and Montessori of Mount Pleasant to engage earlier and form cohesion sooner- continually amazing us not only in their abilities as a group, but also at the onset of collaborative efforts. This RIE principle is congruent with Angeline Lillard’s findings that learning and well-being are improved when people have a sense of control over their lives. Learning best takes place with the involvement and cooperation of the child. Through my RIE training, I became more sensitized to my verbal and non-verbal cuing when engaging a child and to the TIME given for the child to process, internalize and respond to our relationship. Over time, these engagements became emotionally refueling and pleasurable encounters for both me and my partner. And I’ve found that my lesson for the child would reveal a more profound lesson for myself. 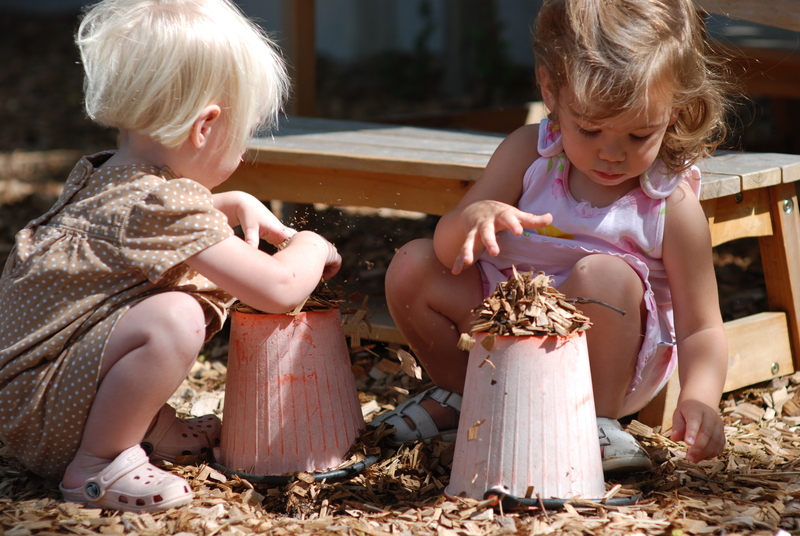 Both Gerber and Montessori relied on the information received during the adult observation of the environment when developing their approaches. Observation continues to be an integral tool in assessing personal and child success on a daily basis within a Montessori or RIE program. Parents, likewise, benefit from allocating a protected window of uninterrupted observation time to deepening their understanding of their child’s abilities, needs, interests and also in preventing problems before they develop. Our school success depends so heavily on the information received during sensitive observations that we have developed monthly interactions to continue to develop these skills. Each month, parents and caregivers meet before school opening with our babies, to socialize, discuss child development and what is going on in the classroom. A ten minute window is built in during our gathering to silently observe the children which is followed by discussion. It is an amazing tool with each morning ending in a new discovery! With so much trust and freedom going on, it’s easy to overlook the underlying fabric of clearly defined limits and expectations which provides the means for RIE and Montessori children to develop discipline. Through role playing, group lessons, and individual reminders I was able to manage my 3-6 environment. But I have to say- developing the skill set to support discipline at the infant level through consistency and routine has enabled me to arrive at a normalized 3-6 classroom almost effortlessly. And well before my six week goal. Think about it… if we were able to take what we know as a best practice in Montessori and develop the skill set to better integrate our knowledge and apply it an infant ability- how could we not become better guides regardless of the child’s age or ability?